Our research is non-stop and has no limits. The goal at Magniflex is to invent innovative technologies to consistently improve our products and respond precisely to the needs of each individual customer and provide them with the perfect sleeping experience every night. 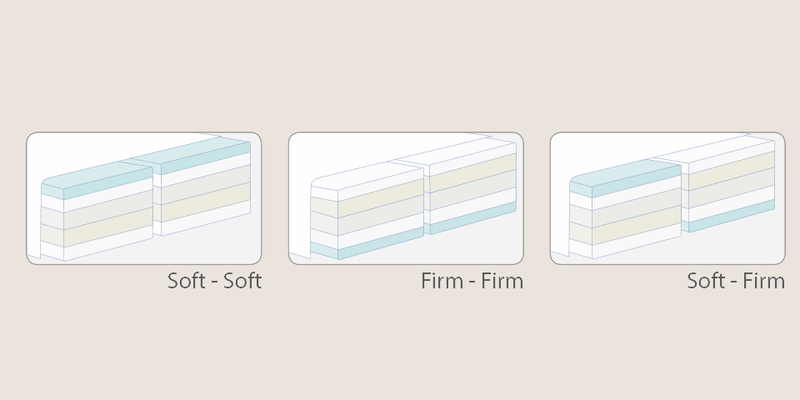 of sheets of materials having varying comfort, in the double version, features two separate parts that can be flipped and thus offer two different types of support: soft or firm. 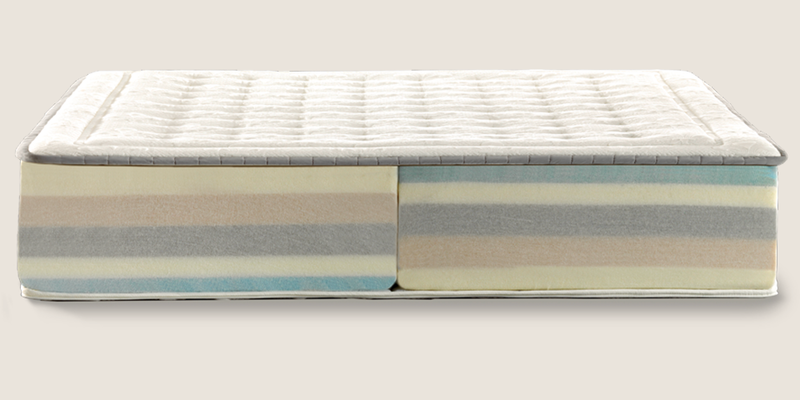 ● DUAL COMFORT OPTION: each side of the mattress provides a different type of support. Whip out the mattress and choose the side you want to turn to obtain the desired comfort. ● "SOFT" SIDE: for a more delicate and cozy support. ● "FIRM" SIDE: for a sturdier support, but nonetheless designed with the best comfort for the back and spine. ● SEPARATE AND REVERSIBLE LAYERS: to meet the different needs of the couples and get the support you want. ● PERFECT COUPLE'S HARMONY while sleeping, even when the partners have different preferences. Department of Mechanical Engineering at the University of Zaragoza. 1. The special layers with tilted sections adapts to the body's pressure. 2. It stretches the body from the lower back to the cervical area and from the lower back towards the feet. 3. 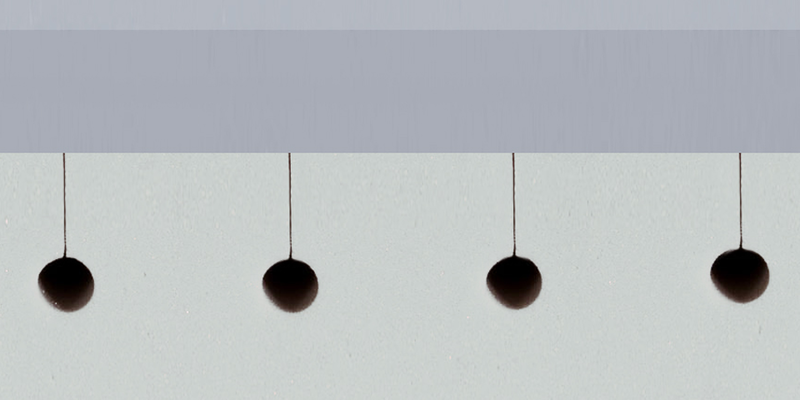 The space between the vertebrae increases and the weight is distributed more evenly. MagniStretch helps sooth muscle tension and contraction, relieving neck and back pain, which improves blood circulation. The wellbeing MagniStretch delivers is enclosed within it. ● The layers in Elioform and Eliosoft are even more flexible thanks to the innovative Stretch system, which provides ideal support to the spine. 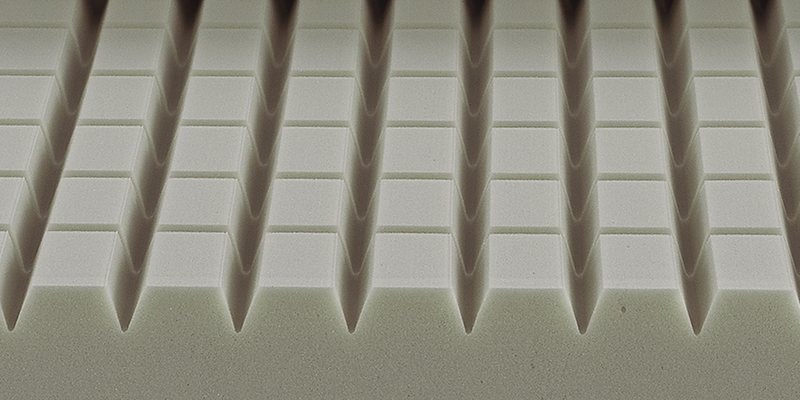 ● The padding is made of Memoform, a soft and anatomical material. ● The outer lining is the product of the combination of soft viscose and Outlast®, a temperature-regulating fabric that absorbs excess heat and releases it when you need it. ● It features a micro-perforated and highly breathable band along the perimeter. 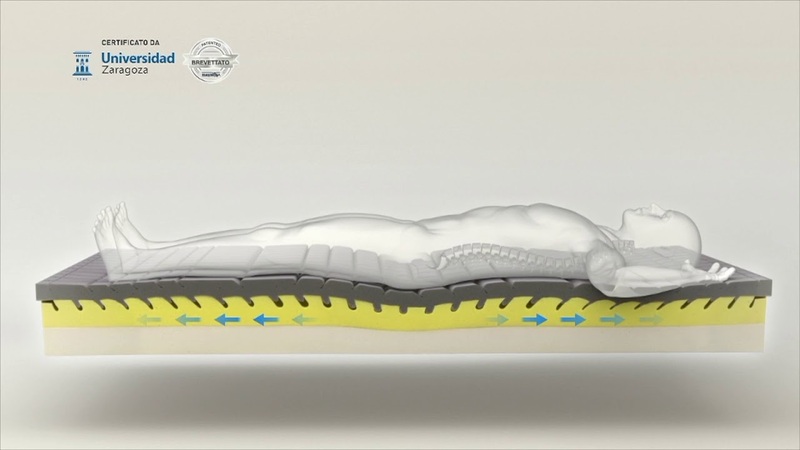 In July 2017 the ACA (American Chiropractic Association), the largest chiropractic association in the United States, certified the beneficial effects of the MagniStretch mattress, which stretches and relaxes your back. 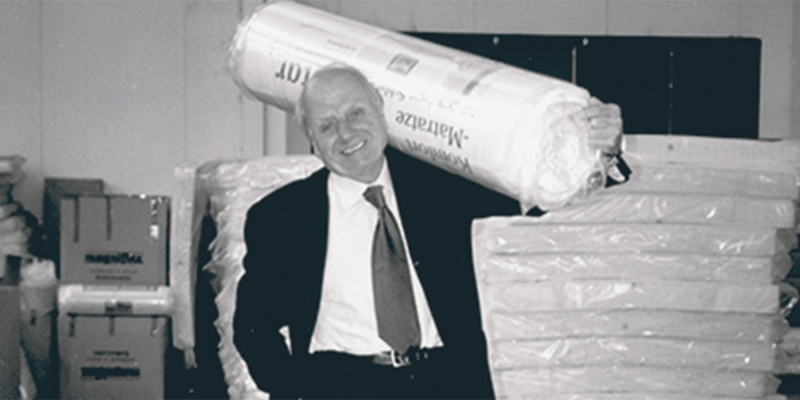 Our ongoing commitment to research and our passion for nature signified in 1986 with Magniflex's vacuum-packed technology invention that revolutionized the world of mattresses. 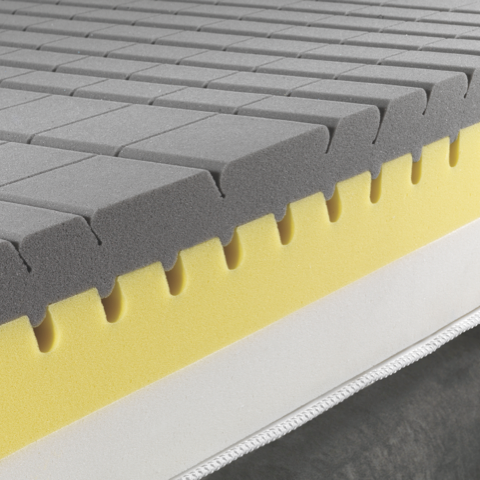 ● stable hygiene and consistent quality, ● volume reduced by 90%, ● reduction of polluting emissions of CO2 (13 mattresses per m3). 1. Open the package, 2. Unroll the mattress, 3. Let the mattress sit for at least 4 hours before using it, 4. Your sensational Magniflex sleeping experience is ready to start after 24 hours. 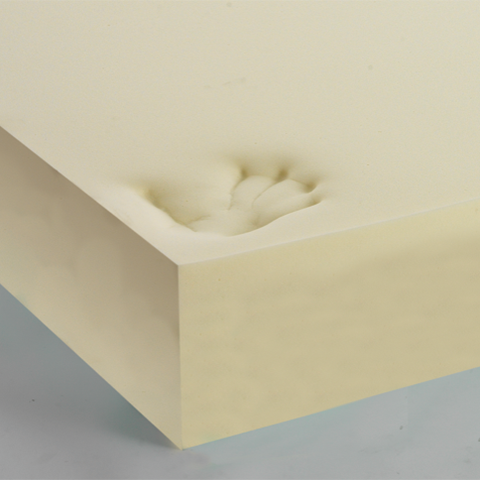 Thanks to the holes featured on the layer, this special design ensures that the mattress delivers perfect breathability and optimal dispersion of moisture and heat. The constant air circulation inside the mattress and pillow thus ensures ideal heat exchange between the layer, the fabrics and your body. 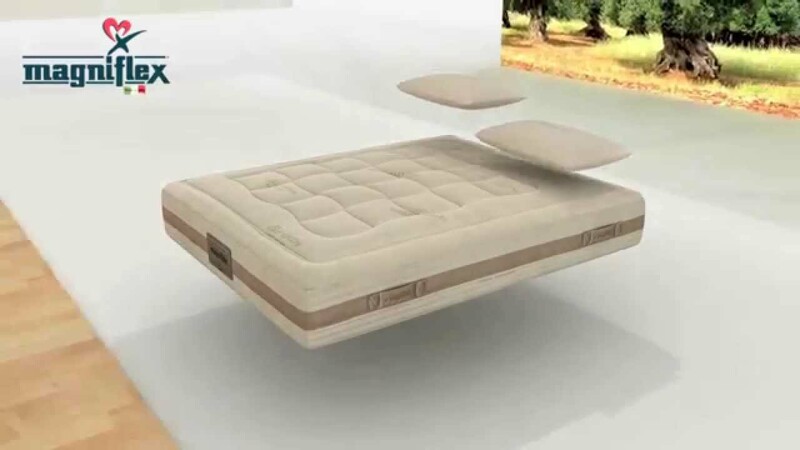 In addition, since each part of the body applies a different amount of pressure, the mattress provides special support to the head, shoulders, back, legs and ankles, distributing and balancing the weight in each part of the body to always offer the best support. 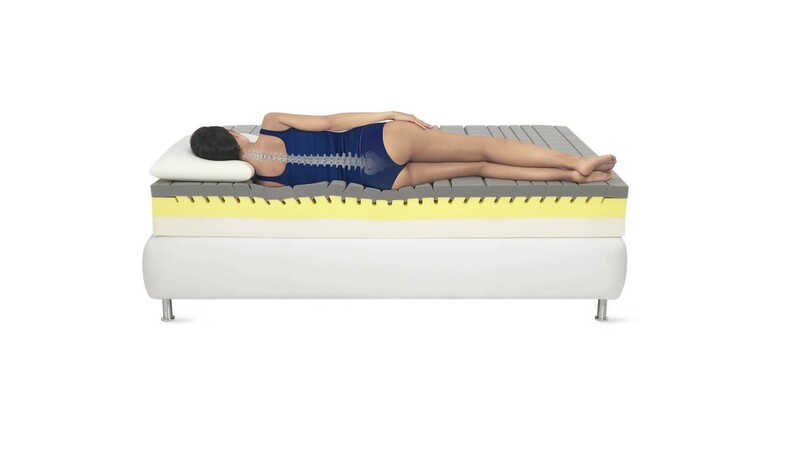 The massaging feature in the mattress revitalizes the body's microcirculation, working non-stop while you are asleep. The result is a pleasant feeling of wellbeing and continuous comfort. This special process also offers varying support to the head, shoulder, back, legs and ankles, providing the perfect support for any part of the body. This special system provides varying support to five parts of the body: the head, shoulders, back, legs and ankles, distributing and balancing the body's weight along the length of the mattress to offer the ideal support. 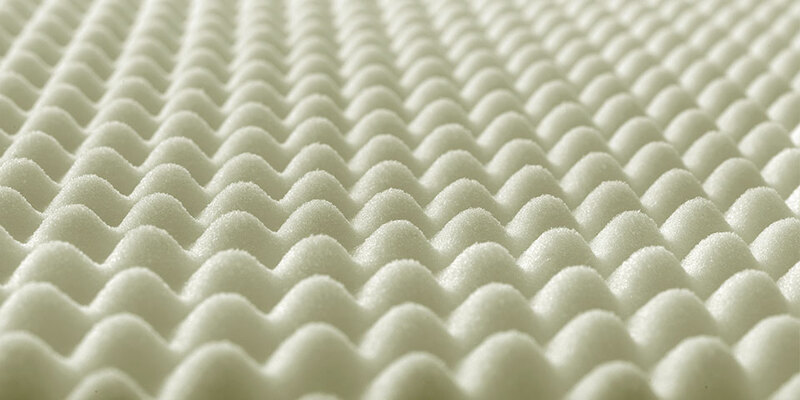 The particular channel support system of this mattress promotes air circulation* inside the layers. The air passing through the channels helps dispel internal moisture, ensuring a consistently dry environment for a sensation of overall comfort. The five parts of the body (head, shoulders, back, legs and ankles) receive varying and customized support.